Lois and Andrew’s Wedding Ceremony was held at St Patricks Church in Earlswood. The rest of the celebrations were then held at Shustoke Farm Barns – a renowned stunning Wedding Venue! We were excited to begin the day with Lois at her family home. Lois was joined by her Bridesmaids and Mum and Dad for a very relaxed morning! We were made to feel so welcome. It was such a beautiful and laid back way for any Bride to begin their day. Before we headed to the Church, we stopped by at The Bulls Head Pub in Earlswood where Andy and his Groomsmen were calming the nerves with a drink or two..! The Church itself was built in 1899 and every aspect was wonderful and very grand. A really lovely place for Lois and Andrew to make their vows to one-another. The ceremony flowed beautifully and one thing that really stood out to us, particularly whilst editing the photos, was Lois & Andy’s giggles and smiles to one another throughout! Just lovely to see! As we headed over for the rest of the day’s celebrations, the rain didn’t stop everyone from smiling and having fun! The gorgeous 18th Century buildings of Shustoke Barns created a super backdrop for this stunning Wedding. The vintage wooden beamed rooms were decorated with so many personalised and hand-made items. Every single touch was unique and beautifully thought out. Lois and Andy had put so much careful consideration into every aspect of their Wedding and it worked so perfectly well. Enjoyed this? 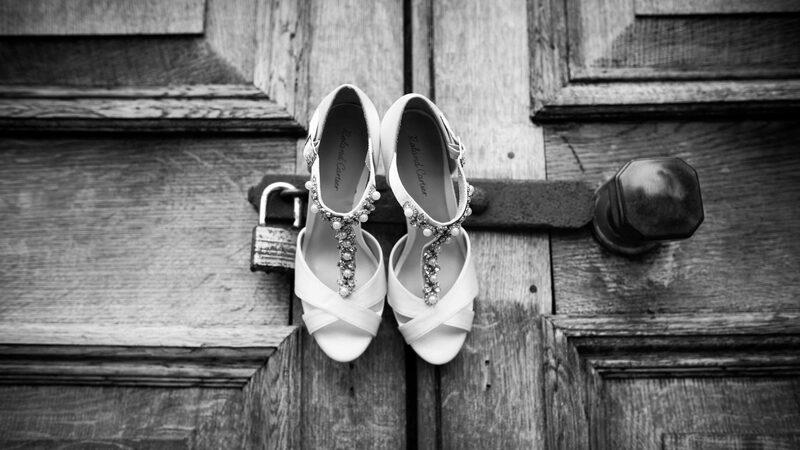 Why not check out Matt and Emma’s gorgeous Old Thorns Wedding Day..